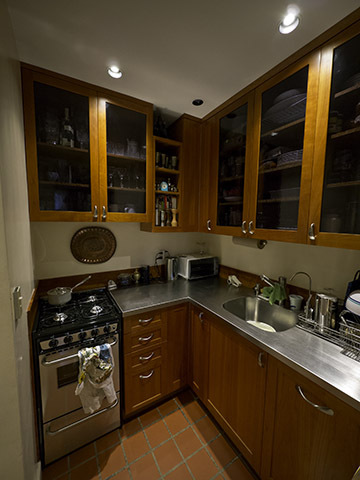 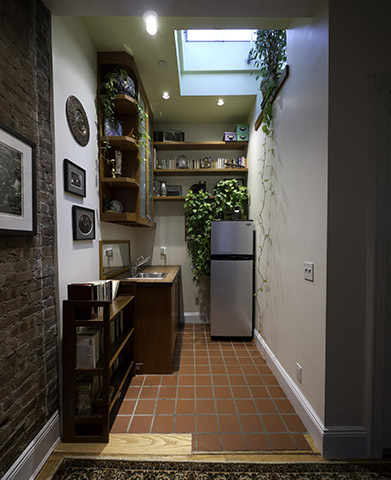 The task was to create an efficient, functional, pleasant kitchen, fitting in a new range, deep sink w/disposal & water filter, dishwasher & cabinets in a tiny (5'-6" x 6'-0") brownstone kitchen. 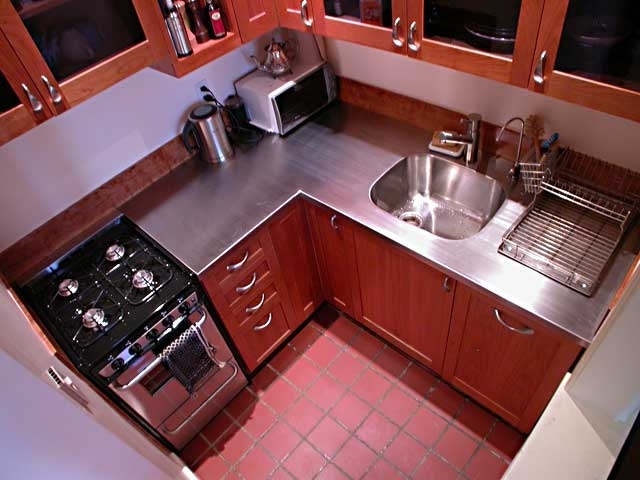 Custom cabinets are solid cherry with textured glass panels, Countertop is custom stainless steel with the sink welded in. 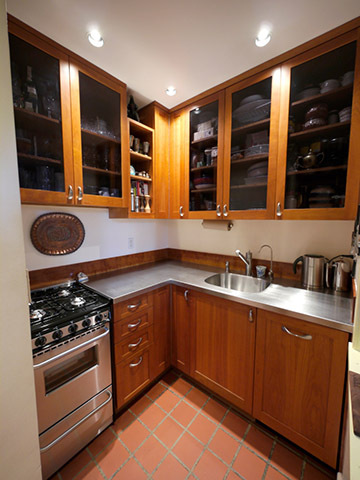 I used solid cherry for the backsplash, with cherry plugs in the screw holes.